Millfield, the co-educational independent boarding school in Somerset, has famously provided multiple Olympians for every Games since 1956 along with prominent business, political and arts figures. Founded in 1935, today Millfield has 1250 pupils and over 600 employees. 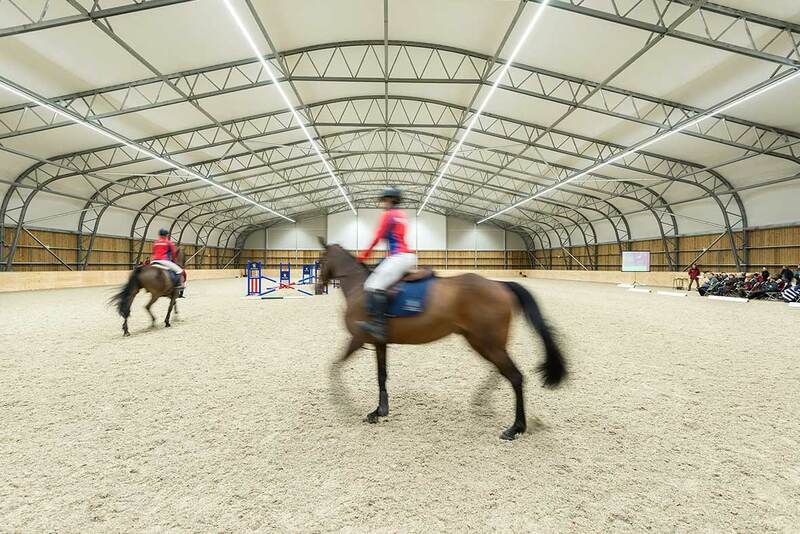 Millfield is one of the few British schools with equestrian facilities on campus and aims to offer the best combined equestrian and academic school environment in the country. The Equestrian Centre is certified to train to Fellowship level in the British Horse Society "Where to Train" register. 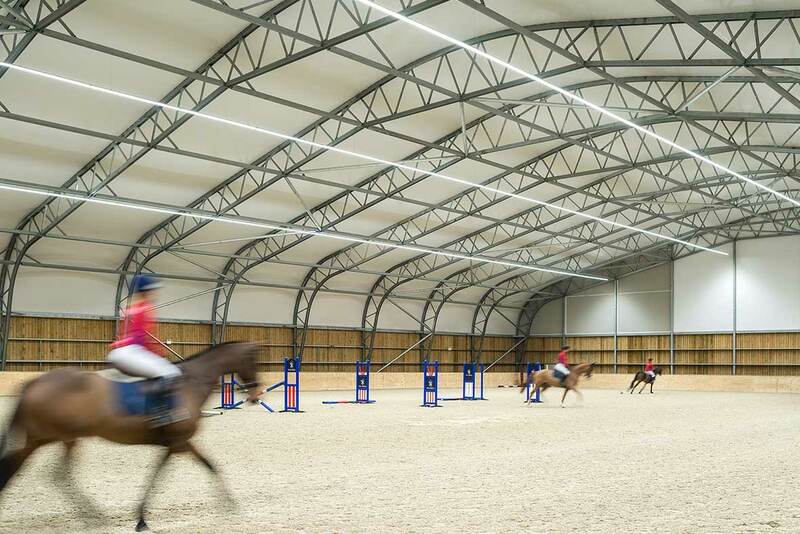 To add to their inspirational sporting facilities, they recently opened new indoor and outdoor equestrian arenas. The project started with the outdoor arena. When it came to the lighting they were looking for products that offered uniformity and a high light out-put. Having worked with TRILUX previously, Andy Ellis, Millfield’s Head of Electrical made contact and the TRILUX Lumen Star LED provided the optimum solution. Andy commented, “I find working with TRILUX lighting easy. My project engineer is very enthusiastic, knowledgeable and cares about the end client and the effect the lighting will have on the users. 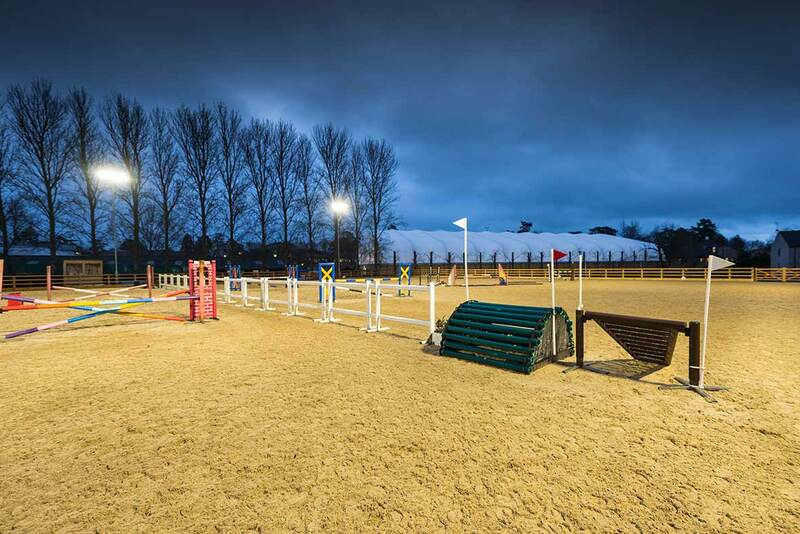 The lighting in the outdoor arena was a huge success and provides a high quality, uniform light on the riding area. So far, the reports back from members are positive and they are extremely pleased with the new installation, so selecting TRILUX to do the indoor lighting was a natural choice, they ticked all the boxes. E-Line LED offers a range of lumen levels, optics and protection ratings making it quickly adaptable to application-specific requirements. The quick, simple planning and installation of the system minimises the effort required and reduces cost-intensive interruptions to everyday work.